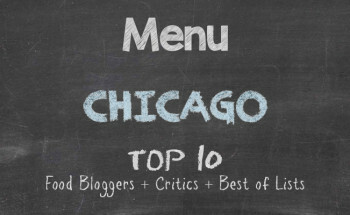 Weeks had passed since I had indulged in some Chicago food happiness. I had been preparing for another personal holiday and then I was gone on the actual holiday. So there was a gap in time with me wandering into some eatery, getting my fill of food, and then stumbling into the streets with crossed eyes, a silly smile, and a satisfied appetite. With summer now being here — although the temperatures have indicated otherwise — I wanted to return to my mode of seeking out fantastic ethnic restaurants in Chicago so that I may entice you, my hungry reading audience. 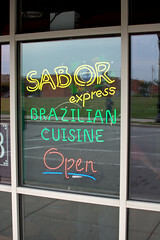 Sabor Express at 1230 W. Taylor Street in University Village was my destination for this day. I had walked past the restaurant a few months ago while going to meet some friends at an Italian restaurant some blocks away. This Brazilian restaurant is not of the likes of those meat lovers paradises where Gauchos serve you endlessly more meat than you may have ever had in your entire life. Only one other Brazilian restaurant comes to mind, one that has a feeling that you have entered someone’s home and been made to feel like you truly belong there. Spacious and large like most American fast food outfits, but far from fast food once you start delighting on the food, Sabor Express after only this first time has become what I will consider a regular stopping ground. I ordered a Coxhina with shrimp for starters. 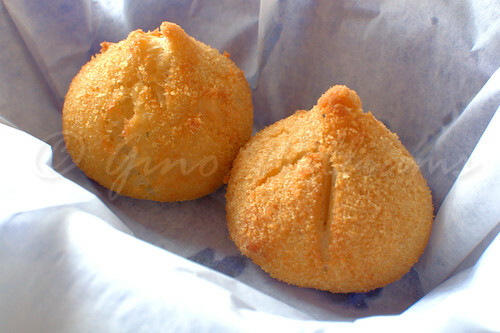 This popular Brazilian snack is made from shredded chicken, spices, and cheese, stuffed in a shell made of wheat and potatoes and then deep-fried. Although I am still on the vegetarian and seafood regimen, I allowed for the chicken. I wanted to see if the tasty teardrop treat was anything reminiscent of the Coxhinas I had during my days in São Paulo. Yes! They were. After finishing the first Coxhina, it occurred to me that there are not enough eateries in Chicago that have street food only. Quite often you want something very quick, something you can walk up to a counter, order, and enjoy while having a casual stroll to your next destination. In the meantime, I will order a batch of street food from places like Sabor Express. 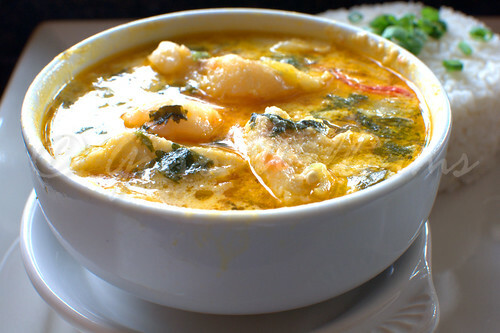 For a main dish, I had one of my favourite Brazilian dishes — moqueca de peixe. This seafood stew made of peppers, white fish, and shrimp has a flavour that puts me in the mind of some Thai dishes that I have had. Had I not changed my diet to vegetarian and seafood, I would have had feijoada — Brazilian red beans and rice with greens — but I knew that I could not go wrong with moqueca. I often think that food establishments that are far removed from the originating countries merely go through the motions of trying to capture and present a bit of home in the cooking. They minimize their spices to accommodate the discriminating — and sometimes limited — American palate. And then there are restaurants that remain true to tradition and it is evident in the food. 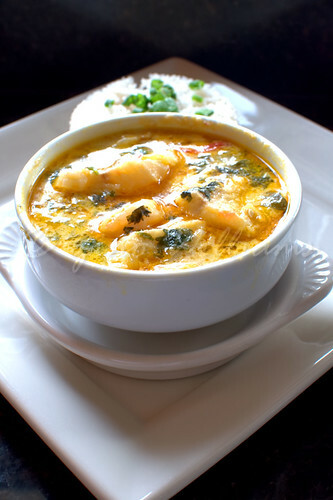 This was the case with the moqueca. The natives of Rio de Janeiro, São Paulo, Salvador Bahia, Brasilia, Fortaleza, and other locations would be incredibly pleased that they can find a restaurant in Chicago that will make them feel like they have gone around the corner from their homes. I am sure that there is a larger Brazilian population in Chicago than what I have come across. Taste of Brasil has a restaurant in Oak Park, Illinois, that caters to the palate that loves Brazilian food. There is a woman who also opens her home to the public for the flavours of Brazil. I need to find out when she will entertain again. Of course, there are the meat-excessive restaurants like Fogo de Chao, Brazzaz, Sal y Carvao, Texas do Brazil, and Sabor do Brazil where you can become victim of the lazy buffet syndrome thanks to Gauchos bringing you a constant variety of meats on which to feast. But there is Sabor Express for some of the best street food and some outstanding comfort food when you want to sit and have flavours bursting in your cheeks. If you find yourself in Little Italy or in University Village and have a few dollars in your pocketbook or wallet, walk around the 1200 block of Taylor Street and let your appetite pull you into Sabor Express.